Stationed in Montana during the height of the Indian Wars, Captain Charles Rawn proved an unlikely hero and an indispensable leader in numerous battles. 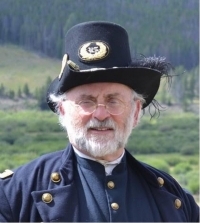 Author Robert M. Brown (Dr. Bob) portrays this outstanding officer and tells tales that illustrate the transformation of the frontier army from a Civil War legacy into an elite fighting force. $5 per person; free for members.